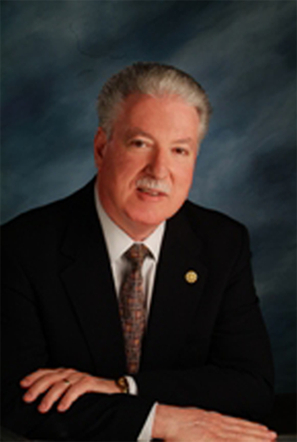 Attorney Dan Kellogg helps clients take proactive steps to protect themselves, their assets, and their loved ones. For more than 40 years, Dan Kellogg has been practicing law for clients throughout King County and the State of Washington. The last 25 of those years have been focused on estate planning. When you schedule a consultation at the firm or in your home or hospital room, you meet with Mr. Kellogg, not a lesser experienced associate or paralegal. Dan’s background as an estate planning and Elder Law attorney is rooted in his early practice experience as a general practitioner who handled a broad variety of legal matters for clients. As a result of that experience, Dan has a very good understanding of the multitude of issues that may be presented by the circumstances of a client. Now that Dan’s practice is limited to estate planning, Elder Law and real estate matters, his experience with other legal issues forms an important backdrop to the focus on the client’s estate planning, Elder Law or real estate matter. "Thank you for working with us in such a quick manner. Your assistance is greatly appreciated." "We were treated in a friendly, professional manner, with respect and compassion." "They have been helpful and easy to talk or discuss any questions I may have. Enjoyable to work with on problems. Thank you for all your help at sad times." "We were very happy with our experience with your firm over the years." "Keep doing what you are doing – We left feeling very comfortable with the service and the results." "Your overall client service was respectful, professional and considerate. Keep up the great work." "Keep up the excellent, helpful atmosphere!" "Your service and guidance was superb!" "Very helpful – polite – listens to our point of views." "I felt very comfortable with the staff. They were friendly, helpful and made a difficult chore almost pleasant. Thank you so much!!" "We very much appreciated the help we received in up-dating our wills and the other important information we received and needed to address. Thank you very much for your help and concern." "Mr. Kellogg and his entire staff were professional, thorough and knowledgeable. I would highly recommend their legal services for estate planning." As a Certified Elder Law Attorney by the National Elder Law Foundation,* Dan Kellogg attends to every detail in an estate plan, probate proceeding, Elder Law matter or real estate transaction. He brings a thorough understanding of the technical issues and knowledge of effective techniques to protect your assets or a loved one. *The Supreme Court of Washington does not recognize specialties and certification is not required to practice law in Washington. For more than 40 years, attorney Dan Kellogg has helped residents with all aspects of planning an estate, helping with Medicaid eligibility and managing a real estate transaction. Contact him today!